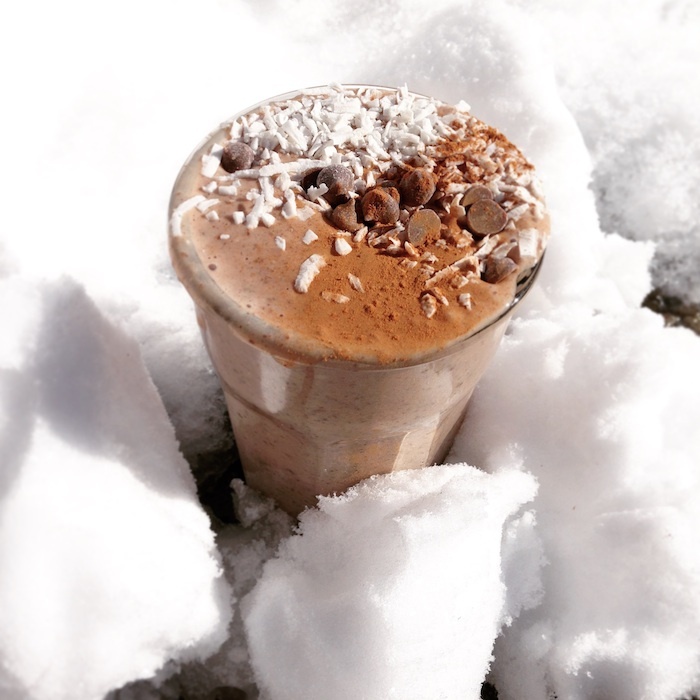 It’s hard to tear me away from my usual Peanut Butter and Cocao Nib smoothie, but this one MIGHT reign supreme! The Almond Butter does not have as aggressive of a flavor as Peanut Butter, therefore making room for the Coconut, Carob and Date sweetness. The addition of Dates take away the need for any other sweeteners. Easy smoothies are my favorite in the morning. Rise, Shine and Enjoy! Place everything in a blender, frozen banana and ice first. Pour the Coconut Milk over the top until it comes up halfway on the smoothie ingredients. Then pour filtered Water until liquid covers the top. Blend on high until smooth, pour and sprinkle FUN toppings on! Enjoy!